Amazing modern design with the charm and character that is fully RTI with plans for 4,125 square ft. The great frontage and motor court makes this unique for Sunset Plaza. 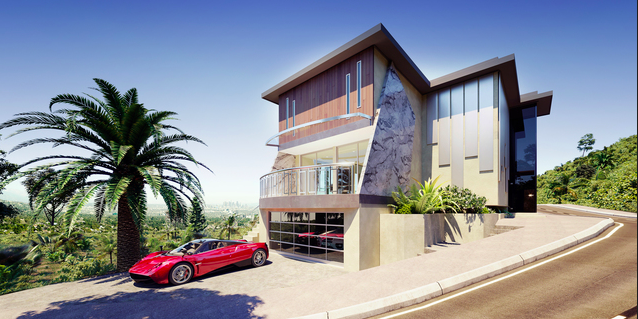 The property is perfectly situated with head on views of Beverly Hills, Century City, ocean views! A perfect opportunity for a developer to be in and out within 8 months and capture upwards of 40% ROI on this gem, or an end user to build their dream home with solid equity built in. This area of Sunset Plaza is going under an amazing Renaissance with 4 developments within ¼ mile being built all over 20 million dollars.